From 2010 to 2020, STEM-related employment is projected to increase by 16 percent to more than 8.5 million jobs, according to the White House Council on Women and Girls. As early as 2018, the United States faces a skills shortage of 230,000 STEM employees, explains a CBS News report. However, the National Student Clearinghouse Research Center found that the number of women obtaining science, technology, engineering, and mathematics (STEM) degrees is stagnant. CDW-G recently surveyed 300 college women and recent graduates to better understand female STEM students’ experience in higher education. “We wanted to explore women’s experience in STEM to discuss how we can help build a more inclusive and engaging environment, while contributing to a stronger female STEM pipeline,” said Aletha Noonan, vice president of higher education, CDW-G. In an interview with MeriTalk, Amelia Martin, an associate at Wells + Associates, a transportation and traffic engineering firm, offered her own experience as a female engineering student at George Mason University’s Volgenau School of Engineering. CDW-G surveyed both women in STEM, as well as former female STEM students. The survey found that greater encouragement from teachers is essential for fostering more female interest in STEM fields. “I was actually pleasantly surprised with how many female role models there were in my university program. The dean of our department and our undergraduate dean were both women, along with one of my favorite professors being a woman,” Martin said. Additionally, students who either plan to graduate or have already graduated with a STEM degree were two times as likely to have a female STEM mentor than female students who ended up leaving the STEM field without a degree, according to the survey. CDW-G’s survey respondents echo Martin’s suggestions. Respondents suggest universities and colleges help connect students with influential females in STEM, create internship opportunities for women, and bring in more female role models to speak on campus. The survey also found a concerning trend. Sixty-three percent of respondents report struggling with confidence in STEM. 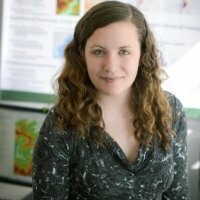 While Martin, didn’t report a lack of confidence in STEM, she did highlight stressors that are unique to female STEM students. Martin also cautions that men must be part of the solution when it comes to engaging women in STEM–and university programs need to consider how best to communicate to female STEM students to make them feel welcome. Martin recounts an incident where she was the only female in a class of roughly 30 people. To level the playing field, survey respondents recommend that universities bring in more female role models to speak, connect female students with influential women in the STEM field, and create internship opportunities for women pursuing STEM.